8 Bedroom Semi Detached House For Sale in Cornwall for Offers in the region of £460,000. 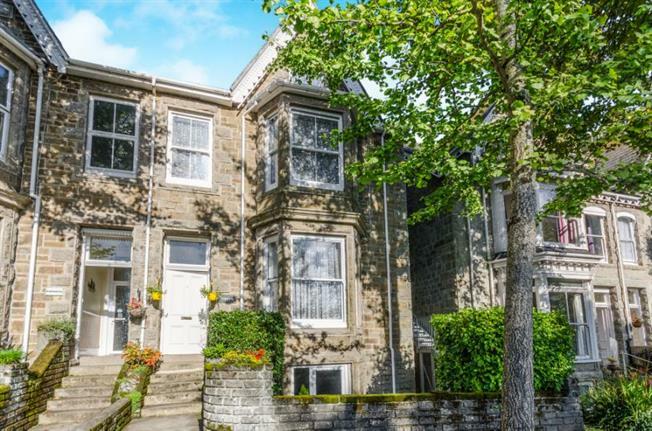 'Tremayne' is nestled along the attractive tree-lined Alexandra Road and is but a short distance from the Penzance promenade and town centre. This imposing end terrace Victorian property has been has been well maintained and offers five self contained apartments over the four floors of which the current vendor derives an income. We feel this property offers great flexibility with further income potential potentially gained from holiday bookings, bed and breakfast or the like. Accommodation in brief comprises a two bedroom garden apartment to the lower ground floor, two in number of one bedroom apartments to the ground floor with the remaining two bedroom apartments over the first and second floors. The property itself benefits from majority uPVC double glazing, a good size rear courtyard garden and LPG central heating to the garden apartment.